basICColor SMARtt is a powerful new tool for creating press quality soft proofs on high-end LCD displays. SMARtt combines the core requirements calibration, validation, visualization and communication in an easy to use software package. No other programs such as browsers or viewing plug-ins are required. Raw profile creation for digital cameras. If critical color accuracy in your Adobe® Camera Raw (ACR) or Adobe® Photoshop Lightroom workflow is required, basICColor inputRAW will do the job. Analyzing the capture results of a camera target determines the reproduction characteristics of the camera. This helps to eliminate unnecessary color retouching. 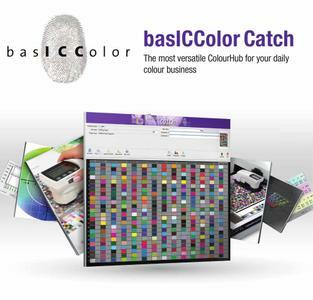 basICColor catch is the basis for a multitude of tools for color measurement, quality control, PSO certification, statistical analysis of QC jobs, ICC profiling, plate setter calibration and profile optimization.